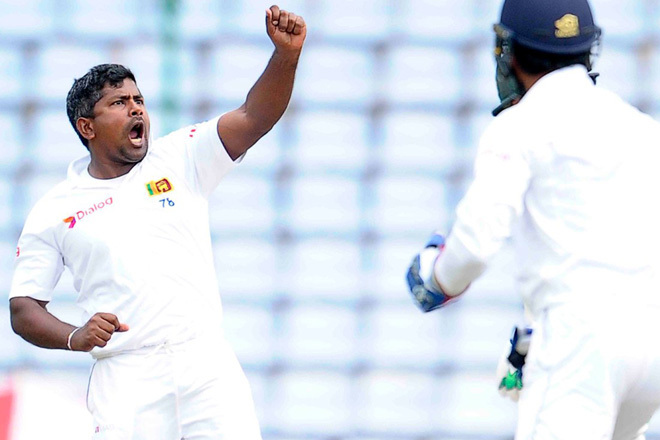 Aug 05, 2016 (Reuters) – Rangana Herath became only the second Sri Lankan cricketer to claim a test hat-trick on the second morning of the second test against Australia on Friday. The left-arm spinner dismissed Adam Voges, Peter Nevill and Mitchell Starc off successive deliveries to achieve the feat. Former paceman Nuwan Zoysa was the first Sri Lankan to claim a test hat-trick, against Zimbabwe in a 1999 test at Harare.